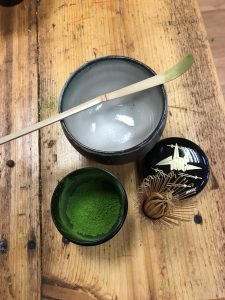 There’s a lot of myth and mystique about matcha, so the idea of this event is to introduce participants to the Japanese teas generally, but with a focus on tencha from which matcha is made, and to basically demystify matcha! We will then have an introduction to the teaware used, you will prepare learn how to prepare matcha, and then have a tasting of some different matchas, including the two types used in the Japanese Tea Ceremony – usucha and koicha. The event is limited to 4 people. This event will cost £20 per person. Payment in advance is essential for all our events, you can now buy your ticket here. Your place at the session will not be approved until your payment is made.